Atlantic City is mourning a neighborhood legend. William “Sonny” Lea died from injuries sustained in a car crash Monday afternoon. He was 83. 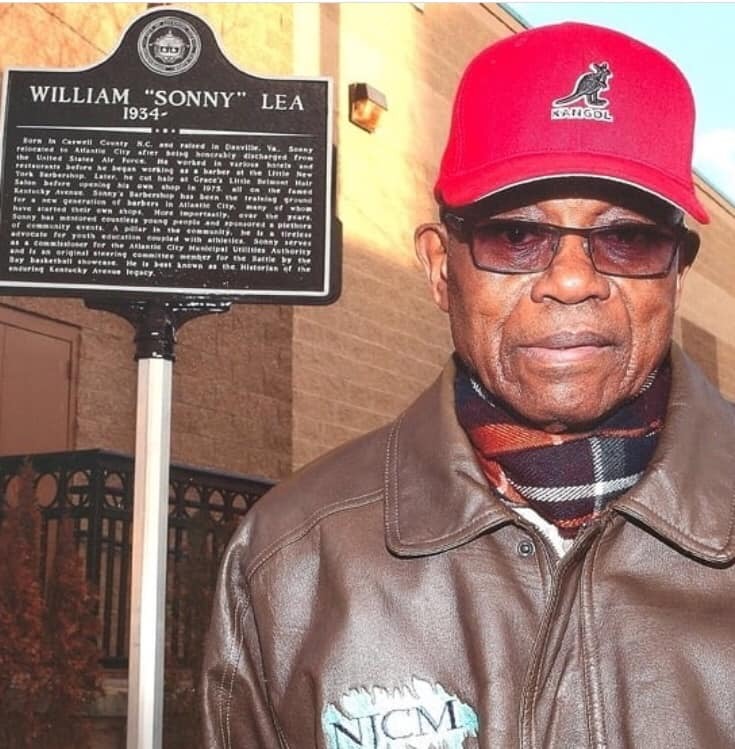 “Sonny was a community giant in Atlantic City,” said City Council President Marty Small, who first knew Lea as a mentor and a champion for children in the community. Born in North Carolina and raised in Virginia, Lea came to Atlantic City in 1960, after he was honorable discharged from the U.S. Air Force. There, he quickly made his mark. Plying his trade as a barber, he worked in several shops, before opening his own on Kentucky Avenue. Nearby, a marker now stands as a testament to his contributions to his adopted hometown. In addition to those in the community, celebrities like BB King, Muhammad Ali and Slappy White were among those who took a seat in Sonny’s chair. Langford said in her nearly 60 years, she never heard her father say a bad word about anyone. While he never served elected office, Langford and her husband — former Mayor Lorenzo Langford — often joked how he was the true mayor, Nynell Langford said of her father. “Whether it was paying for kids to go to basketball camp or he was setting up showcase basketball tournaments outside of Atlantic City,” said Small, who recalled trips to Philadelphia 76ers games taken in limos. He paid for kids’ books and tuition as well. At his marker dedication, Gilliam talked about how Lea would send him meals in college. That caring role continued regardless of race, religion or even incarceration. Lea would visit jail every Sunday, and would make sure those he knew had money on their books. Selfless, genuine and generous were just some words those who knew him used to describe Lea. Lea’s wife died about five years ago. They had five children and nine grandchildren, including the Langfords’ daughter, Mariah, who died from a birth defect when she was just 4. Tuesday was the 15th anniversary of her death. “He had a special bond with all five of his children,” she said. “He was one of the great cornerstones of our community,” Gilliam said. Funeral arrangements have not yet been made. Lea’s family is looking for a way to honor him that would benefit the city’s children.